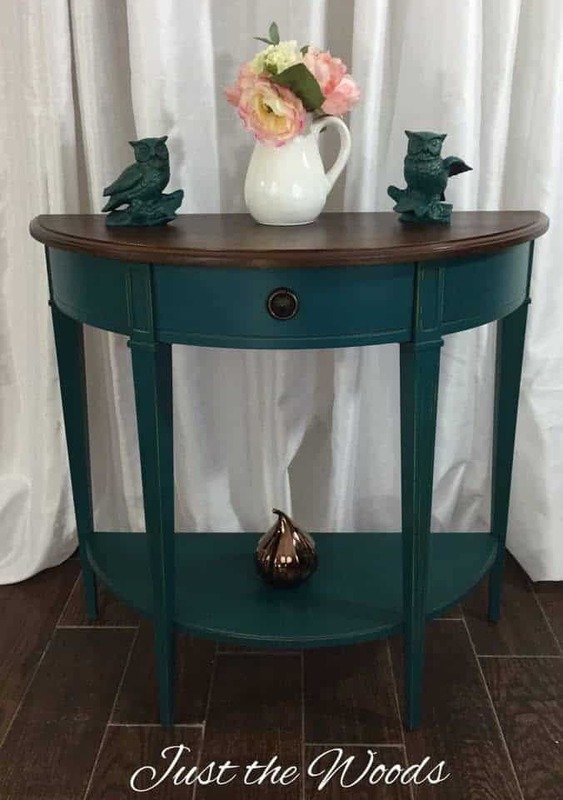 This teal console table is one of the few pieces that I decided to keep. I am in love with this color! It’s so rich and pretty! 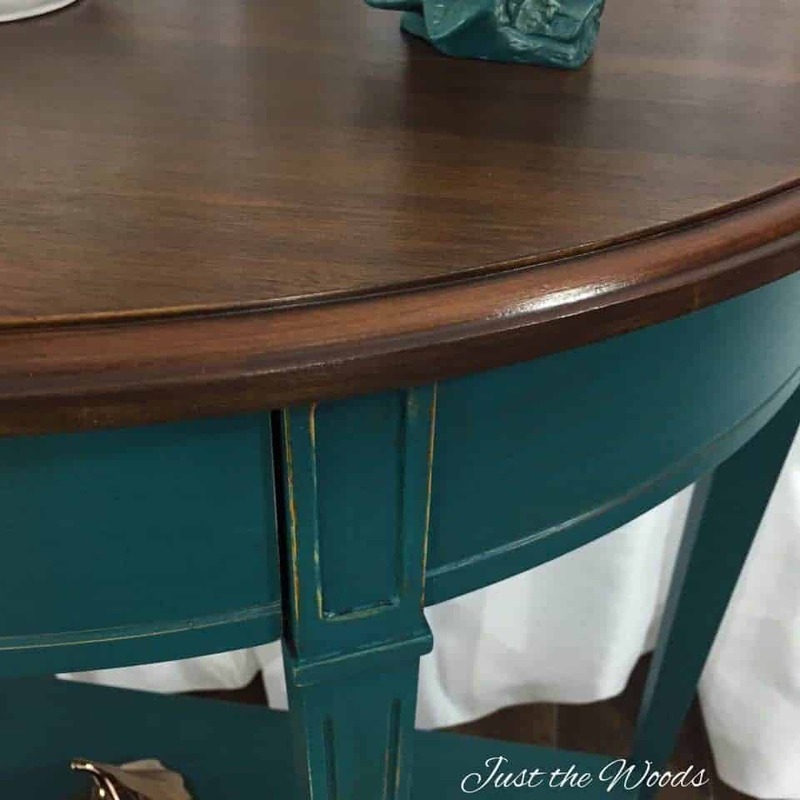 So when this half-circle console table came in I knew right away that this color was perfect for it. 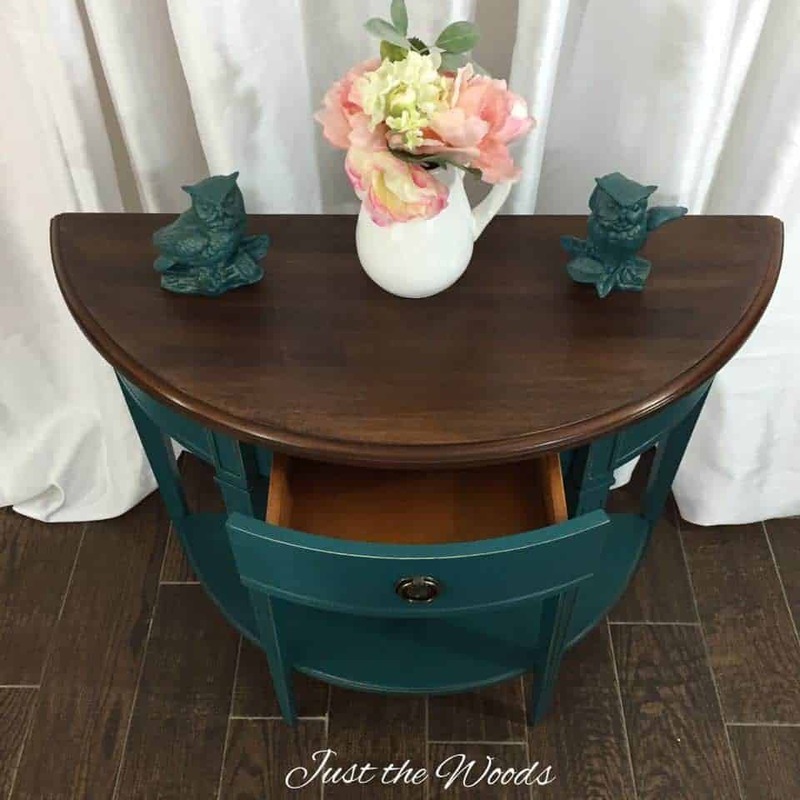 Who wouldn’t love a deep teal console table? It merges bold color with elegance all in one. The table came in and was already in pretty nice shape, but it was plain and was dying to be bold! 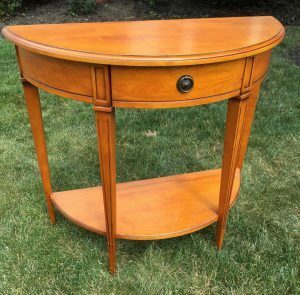 The sleek, straight lines gave an added detail to the table that I knew would give an elegant look once redesigned. The round hardware pull was also a keeper. 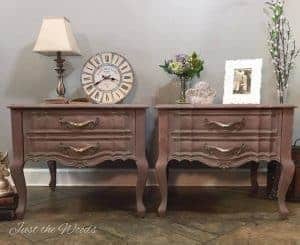 The first thing I did was sand down the top to bare wood so I could apply a darker stain to freshen it up and compliment the rich bold teal color. 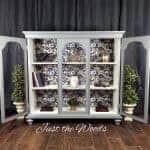 The console table was then flipped over to paint the underside and trim. This walnut brown stain top was achieved by custom mixing a few stain colors together. 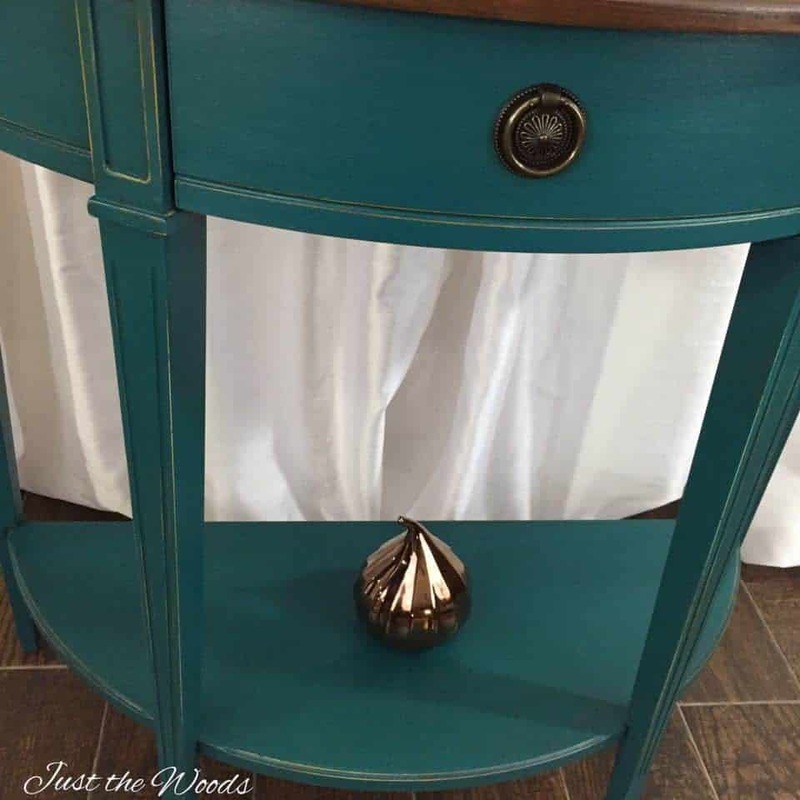 The rest was hand painted in this gorgeous teal color. 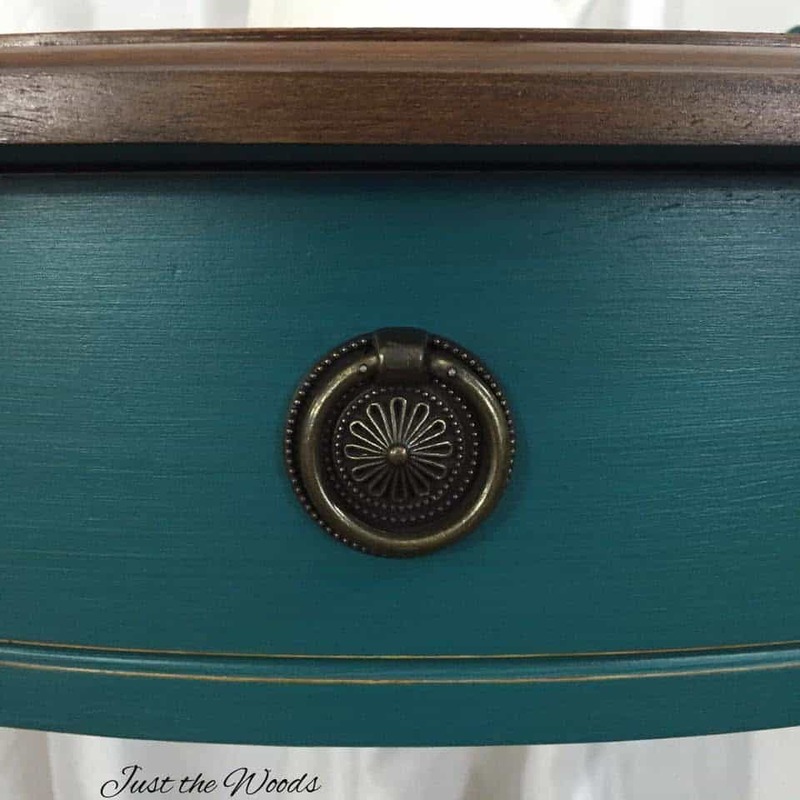 The edges and details were distressed revealing bits of the light wood underneath and the piece was sealed with an antiquing glaze which enhanced and deepened the teal even more. Love this color? You can get this look with Jade! Beautiful color and as you wrote, the dark stain on top is a terrific complement. 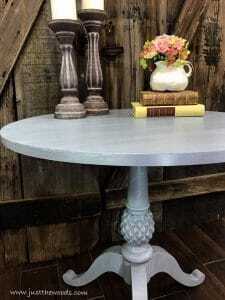 The color of the table is so striking, love it. 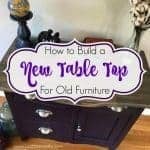 The stained top compliments the color and the style of the table is very nice. WOW! 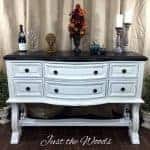 Kandice – I love the color – it’s stunning. You did an awesome job on the piece! What a transformation. 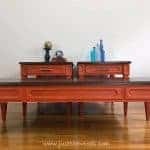 Kandice, this table is beautiful! I love the dark teal color. Thank you so much for linking up to our Inspired By You link party, we hope to see you back every week!